Although it doesn’t look very pretty, this creamy black bean dip tastes absolutely delicious and is very easy to make. 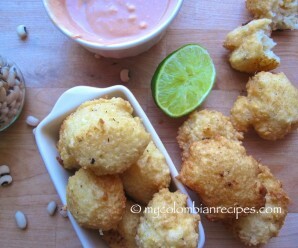 You can serve it with tortilla chips or Patacones. 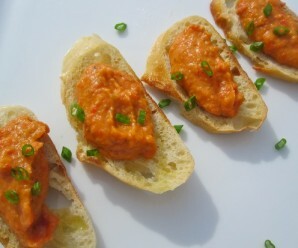 Place all the ingredients in food processor until the dip is smooth and creamy, scraping the down the bowl as needed. 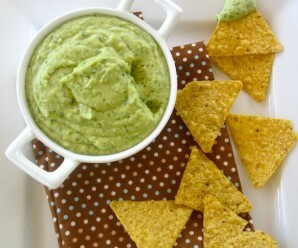 Transfer the dip to a serving bowl, sprinkle with fresh cilantro and serve with tortilla chips. 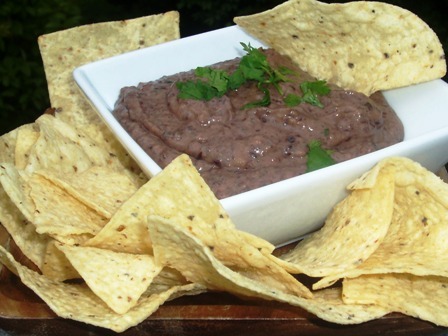 I love blackbean dip and this one looks spectacular. I am going to make it for an upcoming picnic! 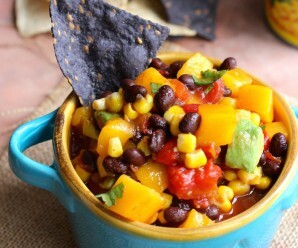 Black bean dip sounds awesome, my hubby would especially love this with his daily tortilla chips! Wow, that looks amazing! Perfect dip alternative! I love black beans, it makes me miss my country. And if is very spicy even better, yummy! Erica, I served your black bean dip at a family birthday dinner earlier this evening. Everyone loved it. Thanks for the great recipe! Thank you so much for your feedback! I am glad they liked it! My family had it for my birthday along with other dips from the site, and loved it. Thanks for the great idea. Best to serve hot or cold? I’ll have to keep it in the fridge for the next day.